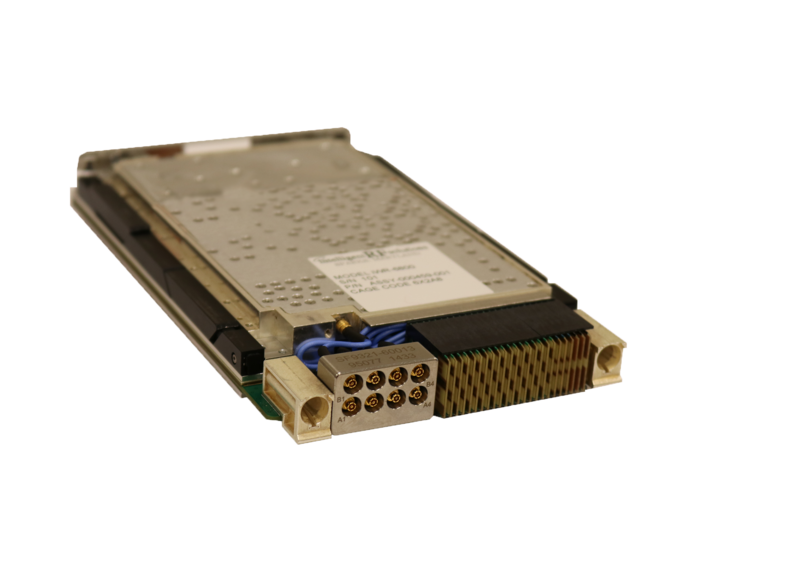 The iWR-6500 Wideband Digital Receiver (WIDERAIL) focuses on ELINT/Wideband COMINT applications. The unit provides frequency tuning from 0.5 to 18 GHz and can optionally be extended to 26.5 GHz. The pre-detected IF outputs of 1 GHz (500 MHz BW) and either 160 or 140 MHz (100 MHz) are provided to interface with existing post processing architectures. 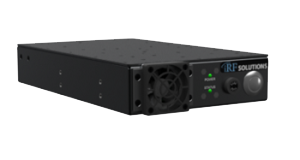 The standard unit is configured to support single or multi-channel, phase coherent applications. The compact package houses iRF’s SMART RF Deck and the iDSP SMART Processor module. The iDSP Processor performs digitization of either the 1 GHz and 160 (alternately 140 or 70 MHz) MHz IFs with 12- and 16-bit precision respectively. The iDSP processor is a dual ARM core Zynq-based FPGA which offers significant programmable resources. The Linux based operating system provides web based services of user GUIs and control. The baseband I/Q digital output is an SFP+, 10 GigE, VITA – 49, and can be time-stamped when proper timing signals are provided to the unit. The 10 GigE port supports approximately 8 Gigabits real-time payload transfers inclusive of overhead.